LG Optimus 2X Android 2.3.4 Gingerbread Update Out Now! 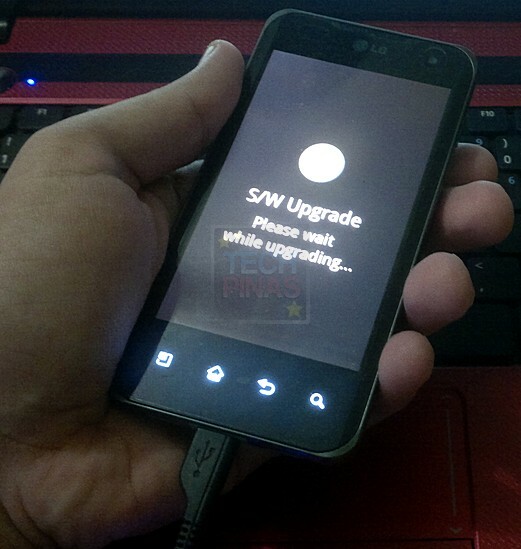 LGP990 V20e Firmware Upgrade Confirmed! 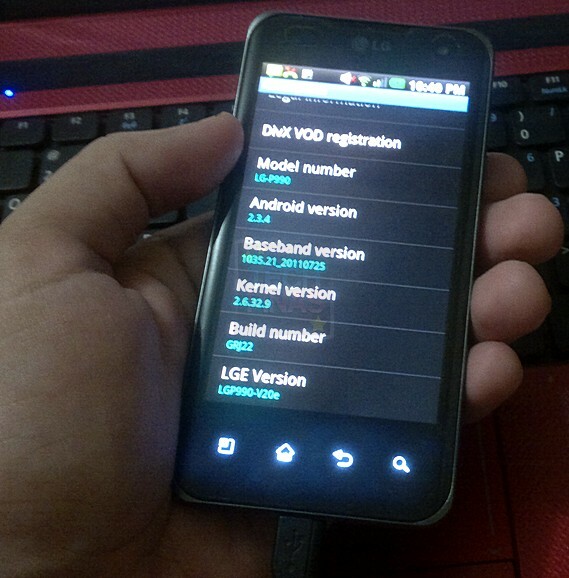 I've just upgraded my formerly-Froyo-running LG Optimus 2X to Android 2.3.4 Gingerbread V20e software version. And I'm loving the phone twice as much now. I got the update via LG PC Suite. I just connected my phone to my PC via USB, ran LG PC Suite, clicked on Check for Software Updates button and got the notification. 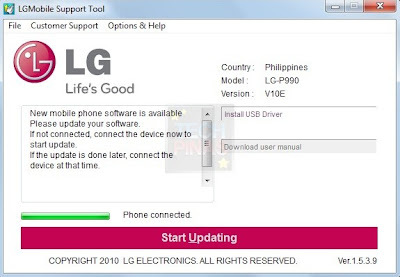 Clicking on the Yes button instantly launches LG Mobile Support Tool where you can Start Updating. Android 2.3.4 Software Update file pack for LG Optimus 2X weighs around 215.15 MB. 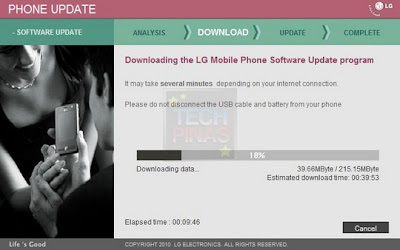 Just make sure your phone is connected to the PC via USB throughout the whole software update process. It will restart once done.